The Stafford Firm offers the rarely-seen SuperLastic Coil Unit. 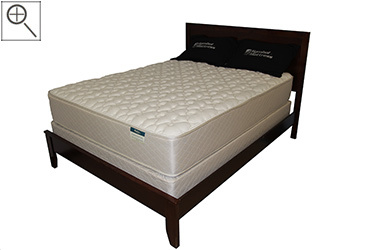 This variation of the Continuous Coil design model offers both durability and added comfort. 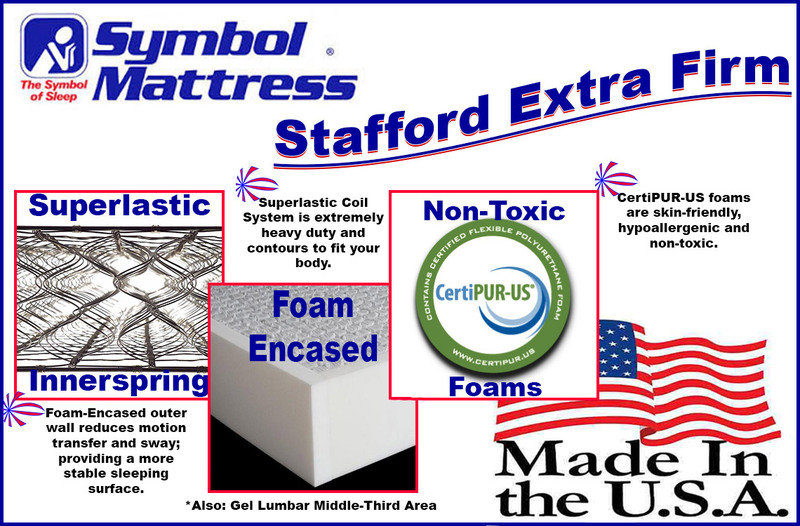 Symbol has also included a gel lumbar area and a non-prorated warranty. One of the best values that we carry and definitely a model that we recommend to anyone seeking a firm, sturdy mattress set. 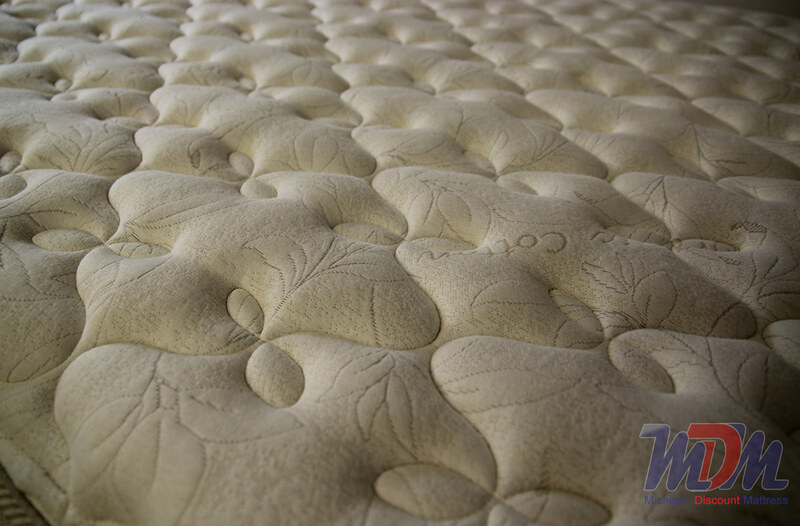 I, personally, prefer a firmer mattress and - of course - I like something that is built to last. The Stafford is both of those things and - in comparison to similar builds by other makers - it's more than reasonably priced! The durability and comfort that is achieved by the SuperLastic coil unit is something that I wish that more makers presented to the market. The gel lumbar area is very subtle but definitely adds a bit of additional support in your most important areas. 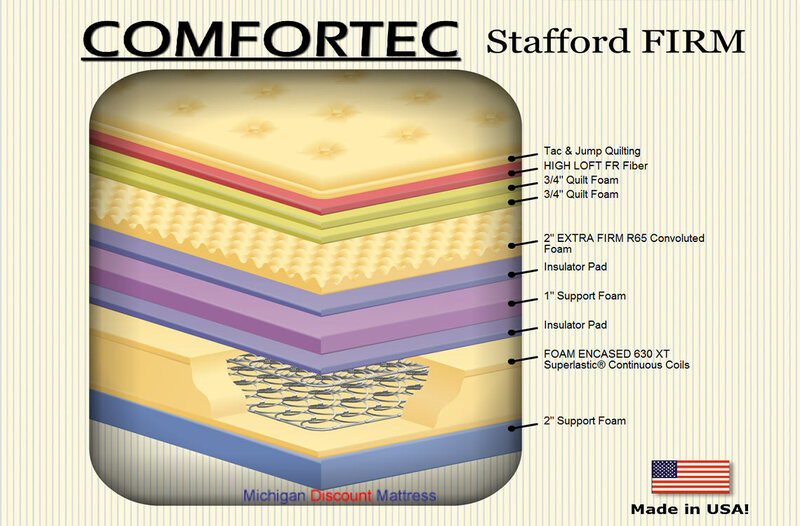 The edge support (very dense foam encasement) is basically unparalleled and is great for anyone who wishes to sit on the edge of the bed, as well. I strongly recommend this model to anyone seeking the qualities I described above and consider it to be one of the better values I've seen in many years.